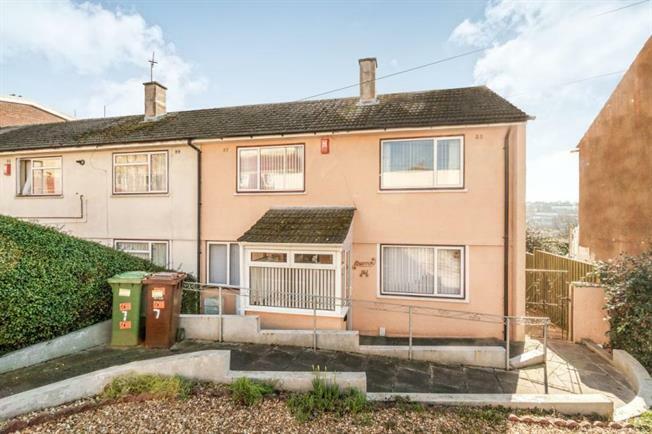 3 Bedroom Semi Detached House For Sale in Plymouth for Guide Price £150,000. Situated in a quiet cul-de-sac this three bedroomed house will make a wonderful family home. This property offers a large lounge, separate dining room and a fully fitted kitchen as well as three bedrooms and a shower room with seperate WC. This property also comes with front garden and a private and enclosed southerly facing rear garden. Other benefits include gas central heating, double glazing and a close proximity to local amenities and bus links. Contact Fulfords today to arrange a viewing.